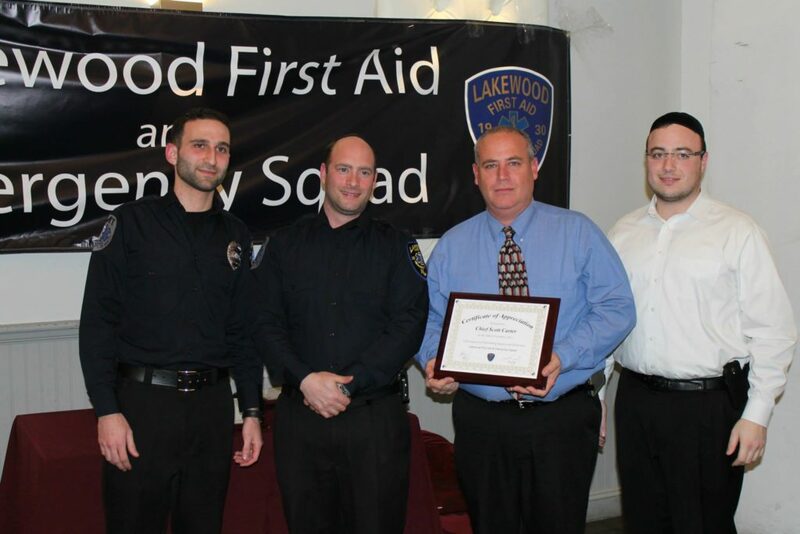 Mayor Akerman and Committeeman Lichtenstien – the liason to the Township’s Emergency Services – took part in the Lakewood First Aid team’s installement and awards ceremony last night. The event, which took place at the D-Lux restaurant, celebrated the installment of the new Line Officers, and the presenting of lifesaving awards to several individual team members who were honored for their exemplary service. Presenting the awards, were Mayor Akerman, Committeeman Lichtenstien and newly elected Captain Moe Heinemann.